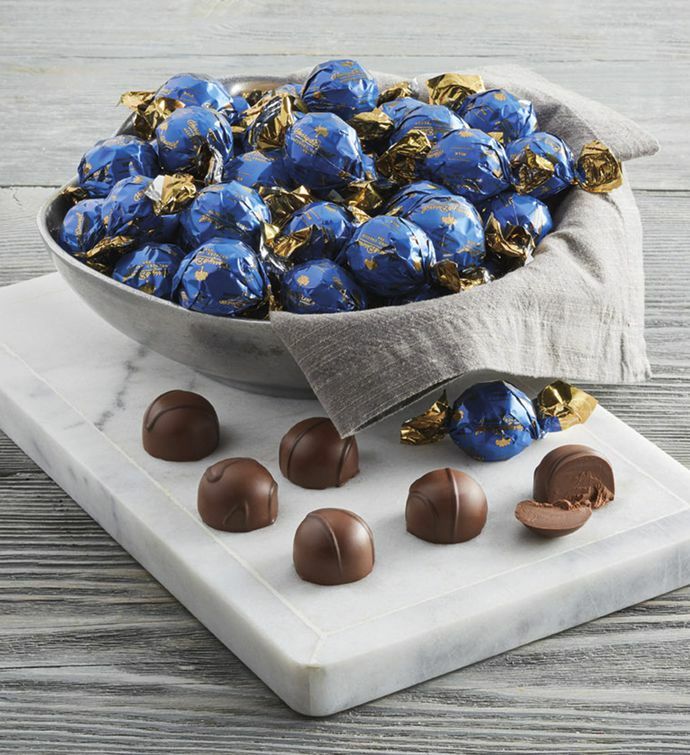 When it comes to memorable treats, our rich chocolate truffles represent the top tier of sweet decadence. The silky smooth center of each truffle is cloaked in a layer of chocolate that melts in the mouth with a flavor that is timeless and delicious. These truffles make excellent components in gifts and are perfect at wedding receptions, buffets, and parties. Contains 50 milk chocolate truffles without gift packaging.